The Bering Straits Foundation (BSF) welcomes Jed Ballard, Kevin Dillard, and Luisa Machuca to its Board of Directors. Ballard, Dillard and Machuca joined the BSF board on March 18. BSF and BSNC thanks outgoing directors Tabetha Toloff, Clara Langton, and Kirsten Timbers for their committed service to the Foundation. BSNC shareholder Jed Ballard is the Executive Vice President and Chief Financial Officer at Northrim Bank. BSNC shareholder Kevin Dillard is an Internal Auditor at Alyeska Pipeline Services Company. BSNC shareholder Luisa Machuca is the Vice President of Education, Employment, and Supportive Services Division at Kawerak, Inc.
“I enjoy working with students in pursuit of advancing their education and training to better prepare for the career of their choice,” said Machuca. With the very generous support of individuals and community organizations, BSF is able to help BSNC shareholders and descendants who seek to further their educational and vocational goals. Your investment is more than a commitment to BSF – it is an affirmation of your connection to and support of BSNC’s current and future generations of students who are making positive strides in their lives and impact in our communities! To make a tax-deductible donation via check, please it make payable to the Bering Straits Foundation and mail it to BSF/Attn: Donations, P.O. Box 1008, Nome, AK 99762. To donate via credit card, email foundation@beringstraits.com or call (907) 521-7207, or go to www.beringstraits.com/foundation/donate/. Thank you for your support. BSNC has announced three promotions within the company’s senior management team. Krystal Nelson was promoted to Senior Vice President/Chief Operating Officer, Dan Graham was promoted to Senior Vice President and Karla Grumman was promoted to Chief Human Resources Officer/Associate Vice President. Krystal Nelson joined BSNC in 2014 following a successful 18-year career working in public and private business sectors managing federal, state and municipal contracts. Her experience includes management of multi-million dollar programs and projects, union negotiations and managing more than 1,200 personnel. Dan Graham joined BSNC in 2014 after nearly 20 years managing projects for the public and private sector in construction, remediation and service work. His background includes management and operational responsibility for large multi-million dollar international programs, implementing strategic plans and policies and facilitating corporate marketing and business development. Karla Grumman joined BSNC in 2017 after serving as senior director of human resources for NANA. She leads the overall administration, coordination, compliance and evaluation of human resources services, policies, procedures and programs for the Company and its subsidiaries. Grumman has 27 years of experience in human resources. BSNC shareholder Dr. Donald (Donny) Olson is known by many throughout the Bering Strait region. Dr. Olson was born to Martin and Maggie Olson in Nome and raised in Golovin. He has an extensive list of academic credentials and his occupations include physician, pilot, businessman, reindeer herder and state senator. Dr. Olson attended Covenant High School in Unalakleet. On weekends, his father flew him home from school in a small plane in order for him to be with his family in Golovin. These flights became flying lessons, and Donny earned his pilot’s license before completing high school. After high school he earned a B.A. in Chemistry from the University of Minnesota in Duluth. He then studied at the University of North Dakota School of Medicine and in 1983, received a M.D. from Oral Roberts University School of Medicine. After a medical internship with St. Elizabeth Medical Center in Youngstown, Ohio, Olson returned to rural Alaska to fulfill a life-long dream of practicing medicine in his home area. As a physician in rural Alaska, Dr. Olson has experienced unique situations rarely encountered in urban settings; for example, he performed the last emergency Cesarean section done in Nome, and by necessity, he used only local anesthesia in performing the surgery, since Nome had no anesthesiologist. At a village clinic on Saint Lawrence Island, he delivered a premature infant who tried to come into this world by breech. When emergency medical technicians brought a young man with a gunshot wound to the head into the emergency room, Dr. Olson stabilized the patient for transport to specialized surgery in Anchorage; the patient recovered sufficiently to resume a productive life. Dr. Olson holds the rare distinction of having practiced medicine in all of western Alaska’s remote hospitals and he has visited many of the village clinics. In 1995, on the recommendation of the late Tim Towarak, Gov. Knowles appointed Dr. Olson to the Alaska State Medical Board. In 2000, Dr. Olson was elected to the Alaska State Senate for District T, which includes 60 communities throughout North and West Alaska. He continues to strive to improve the conditions of living in rural Alaska through his position as Senator. When the legislature is not in session, Dr. Olson resides in his hometown of Golovin in the home he grew up in. During the summer, he enjoys being a commercial pilot, spending time camping with his family. Olson’s wife is Willow Olson and his children are: Ipialalook (Martin), Igeetook (Junior), Dulgomick (Margaret), Digickson (Solomon), Susuzak (Elise) and Omilak (David). The longer days we are now seeing are a welcome and telltale sign of spring. This past winter produced record snow for some of our villages, and several others experienced a complete loss of shorefast and winter ice coverage more than once during this time. The sun’s reappearance brings renewed energy, an increase in time spent outdoors and once again, the annual return of our traditional subsistence activities, including harvesting migratory birds and their eggs, marine mammals, and greens. We are hopeful that the changing weather and ice conditions does not negatively impact our spring subsistence activities. If you see or experience dramatic changes that impact your subsistence activities, please contact me at gschubert@BSNC.net to share your observations. I am pleased to share an update regarding BSNC’s Beringia Settlement Trust, which was created after shareholders overwhelmingly voted to approve a resolution establishing the Trust at the 2018 Annual Meeting of Shareholders. A permanent fund has been created within the Beringia Settlement Trust to grow assets and generate investment returns into perpetuity for the benefit of our shareholders and descendants. The Settlement Trust also serves to protect the continuity of existing benefits, including Elder distributions, bereavement benefits, and education. BSNC recently contributed cash and other assets of almost $30 million to the Trust as an initial funding. As a reminder, Settlement Trusts are intended to benefit shareholders, descendants and Alaska Native people. Revenue generated from Settlement Trusts can be used to provide dividends, scholarships, bereavement benefits, and support cultural programs. As BSNC contributes cash and other assets to the Settlement Trust, we are able to reduce our current and future federal income tax liability. Because BSNC distributed the special Elders dividend in November and the shareholder dividend in December from the Settlement Trust, these distributions are not subject to federal income tax by our shareholders. I am also excited to share information about a great career opportunity for BSNC shareholders and descendants. BSNC is offering qualified shareholders and descendants a one-time scholarship for up to $2,000 to be used to pay for training required for a career opportunity with Edison Chouest Offshore (ECO). The scholarship will help qualified candidates obtain prerequisite TWIC and U.S. Coast Guard Merchant Mariners certificates, and pay for air travel to ECO’s training facility in Louisiana. Meals and lodging will be provided to successful candidate applicants by ECO. Once hired, training will start immediately. The classroom training lasts two weeks, followed by three months of on-the-job training in the Gulf of Mexico. Whether you are an entry-level candidate or an experienced mariner, each candidate will have an individual development plan to work toward higher U.S. Coast Guard licenses and pay. ECO’s state-of-the-art training center is one of the most advanced in the world. Staffed by U.S. Coast Guard- Certified Instructors, the ECO training staff will provide Alaska Native hires with the training and qualifications needed to build a successful career in the maritime industry. I encourage anyone interested in this opportunity to contact Brent Lirette at (907) 562-2136 or brent.lirette@chouest.com. As May is rapidly approaching, on behalf of the BSNC Board of Directors and staff, I extend congratulations to our shareholders and descendants who are graduating from high school, college, and graduate school. We are all proud of your accomplishments and wish you well in your future endeavors. In closing, I want to acknowledge the lifelong commitment to BSNC of our former Director and President & CEO Tim Towarak, who recently passed away. I thank his family, and especially his wife Rose, for the many years that Tim worked on behalf of our People, resulting in much time spent away from them. Quyaana, and may Tim’s memory be eternal. BSNC shareholder Lela Kiana Oman passed away peacefully surrounded by loving family members on Monday, July 9. Lela was BSNC’s oldest shareholder at 102 and a half years of age. Lela was born in 1915 in Noorvik, Alaska. She moved to Nome as a young girl and resided there for the remainder of her life. She devoted her life to preserving traditional Inupiaq stories and passing on Inupiaq traditions. 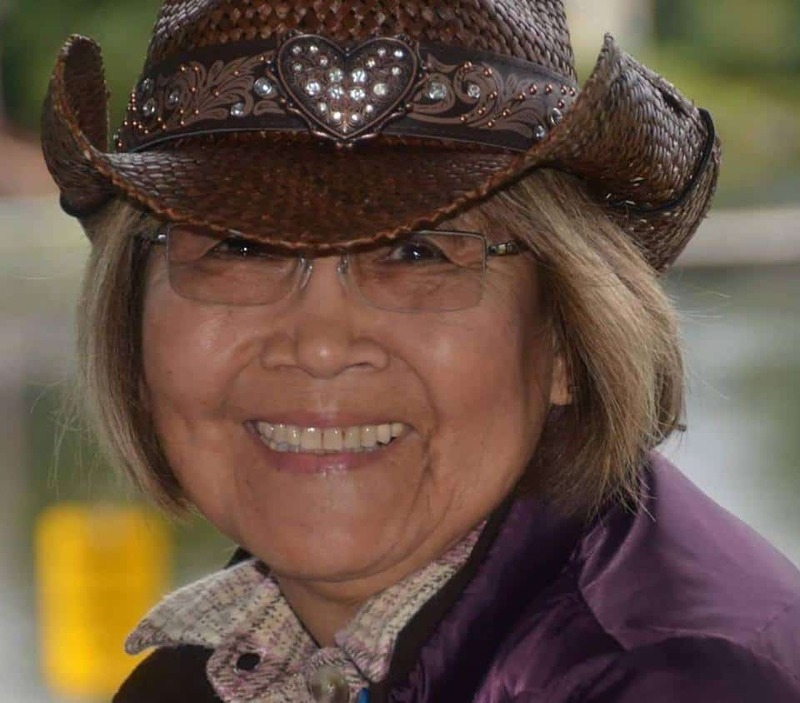 She has published a number of books of Native stories, including: Eskimo Legends (1966, Nome Press) and the Epic of Qayaq: The Longest Story Ever Told By My People (1995, Carleton University Press). The Alaska Federation of Natives awarded BSNC shareholder Lieutenant Lonny Piscoya the Glenn Godfrey Law Enforcement Award. Lieutenant Piscoya’s law enforcement career has spanned nearly 25 years and during that time he has served Alaska and its communities from the Southeast panhandle to the Northern Interior. The knowledge he gained growing up in rural Alaska on the land, rivers and ice surrounding Nome has served him well in his search and rescue assignments. His family and cultural background, which emphasizes cooperation, compassion, humility, and community service, has shaped and guided his development as a public safety officer. While serving in Ketchikan, he was awarded the Department of Public Safety Purple Heart for injuries he received in the line of duty. During an arrest in 2001, his leg was fractured, yet he still managed to subdue the suspect until backup arrived. In 2005, he was awarded the Police Unit Commendation from the Ketchikan Police Department. His service with the Fairbanks Post began in 2005 when he was promoted to Lieutenant, Deputy Detachment Commander. He served as Team Leader for the Special Emergency Reaction Team from 2005 to 2011. In 2010, he was chosen to become the Rural Unit Supervisor and Supervisor of the Judicial Service Unit and Bureau of Highway Patrol Unit, an assignment that oversaw the Alaska State Troopers across much of interior Alaska. He also served as the Detachment Search and Rescue Coordinator. In 2018, he was selected as Fairbanks District Attorney’s Officer of the Year. Piscoya was born in Nome, Alaska to Carol and Roy Piscoya. He was raised in Nome and has seven siblings. He and his wife Bridget, who have been married for 24 years, have six children. He is a member of Rotary International and serves on the Board of Directors for the Midnight Sun Boy Scout Council in Fairbanks. This year, BSNC’s summer interns helped plan and host the Bering Straits Foundation (BSF) Art Auction that was held on July 17 at the Petroleum Club in Anchorage. Thanks to the many donors, the auction reached its goal of raising $50,000 to benefit BSF’s scholarship programs. BSNC and BSF sincerely thank the donors and artists who donated their beautiful artwork, those who purchased art and those who made financial contributions. BSNC also expresses a special thanks to the Rasmuson Foundation for their donation of $5,000, Tom and Cindy Massie for their $20,000 donation, and an anonymous employee donor for their $5,000 donation. With the very generous support of individuals like you and community organizations, BSF is able to help BSNC shareholders and descendants who seek to further their educational and vocational goals. Your investment is more than a commitment to BSF – it is an affirmation of your connection to, and support of, BSNC’s current and future generations of students who are making positive strides in their lives and positive impacts in our communities. If you would like to make a tax-deductible donation to BSF, please visit www.beringstraits.com/foundation/donate/. BSNC is pleased to announce that BSNC shareholder Christian Leckband has been promoted from Proposals Coordinator to Jr. Proposals Manager. Leckband, who grew up in Nome, interned in the Business Development Department during the 2016 Summer Internship Program. He began working for BSNC after graduating in May 2016 from the University of Alaska Anchorage with dual bachelor’s degrees in business management and business marketing. Christian manages and produces proposals and responses to requests from government entities such as the U.S. Army, Navy and Air Force. As a Jr. Proposal Manager, Christian’s duties will expand in capacity while working with these various entities. Congratulations, Christian! BSNC is pleased to announce that it has been selected as the Arctic Indigenous Investment Conference’s (AIIC) Community Champion of the Year for the Alaska region. This award honors a business, nongovernmental organization, development corporation or a company with aboriginal partnerships that has demonstrated a significant commitment to community enhancement. The award was presented at the 2nd annual AIIC conference in August in Yellowknife, NWT. AIIC is hosted by the Yukon First Nation Chamber of Commerce and highlights and promotes First Nation Aboriginal Development Corporations and Aboriginal businesses in all sectors of northern economy, alongside the North’s business community in strategic industries and sectors, including technology, innovation, finance, investment and natural resources. Other awards presented are the Top Aboriginal Business of the Year and Aboriginal Youth Entrepreneur of the Year. Edna “Becka” Baker was elected to BSNC’s Board of Directors at the Annual Meeting of Shareholders held on Oct. 6 in Anchorage. Baker resides in Nome, where she was born and raised. In addition to serving as a Director of Bering Straits Native Corporation, she also serves as a Director of Sitnasuak Native Corporation. Baker retired in 2015 after 30+ years as a public servant employed by the State of Alaska. Her last position was Regional Election Supervisor, where she was tasked with conducting state and federal elections in the coastal communities of rural Alaska spanning from Kaktovik to Adak. In 2017 she served as a Program Officer for the Bering Straits Foundation. Baker is also a shareholder of CIRI and Koyuk Native Corporation, and is a member of the Nome Eskimo Community. As a young child, Baker’s mother and grandmothers instilled the values of helping others. She takes pride in community service, whether assisting others to conduct fundraisers or working at the gate during high school sporting events. Baker and her husband John have two sons. In her spare time, she enjoys time with family in the great outdoors. BSNC shareholder Cindy Massie and her husband Tom were awarded the Alaska Federation of Natives Small Business Award for their generous philanthropic efforts advancing causes in Alaska. Tom and Cindy met in Nome, Alaska where Tom was working. Cindy was working construction as a flagger. From the day Tom spotted Cindy flagging, he never wanted to just drive by her again! The couple had humble beginnings in Fallbrook, Calif. where they started a television show in the garage with Tom’s father, George. Eventually the show became so popular that they decided to purchase their own channel and named it “The Outdoor Channel.” The channel expanded its programs, became known worldwide and was subsequently sold.